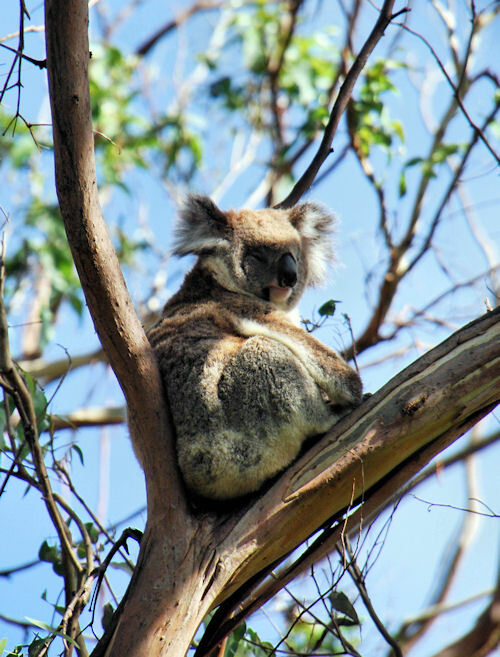 In most parts of Australia, one needs to be lucky to find a place in the wild to spot Koalas. And if one sees them, it most of the times will be one or a mum with child. 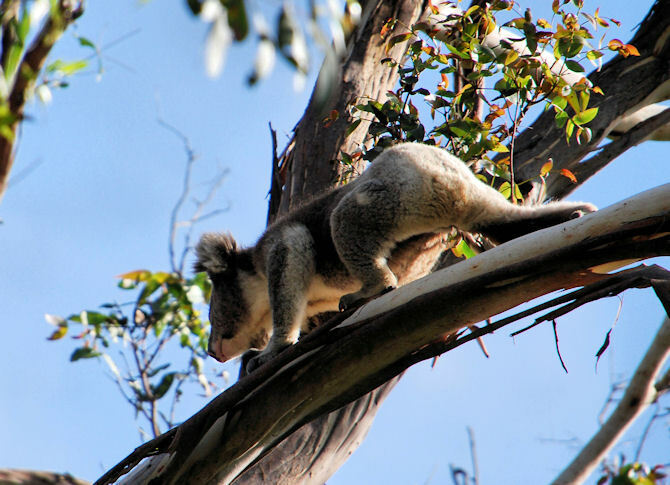 But near cape Otway at the Great Ocean Walk, one finds lots of them. 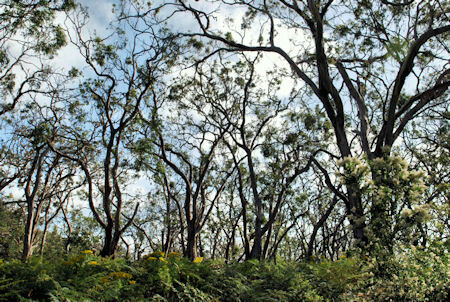 Too many, as they cannot travel across the farmland to a new place when the population gets dense. 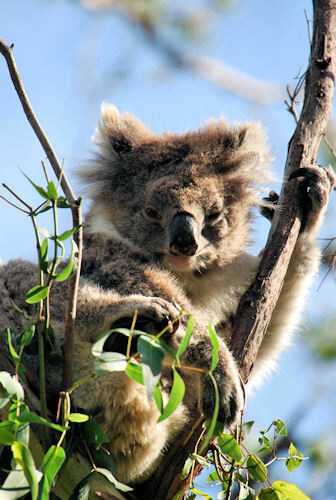 And if one sees the anyway light forrests of Australia getting even lighter, that indicates over"grasing" by Koalas. It is understood one needs to provide ways for them to travel, but providing them is another thing. 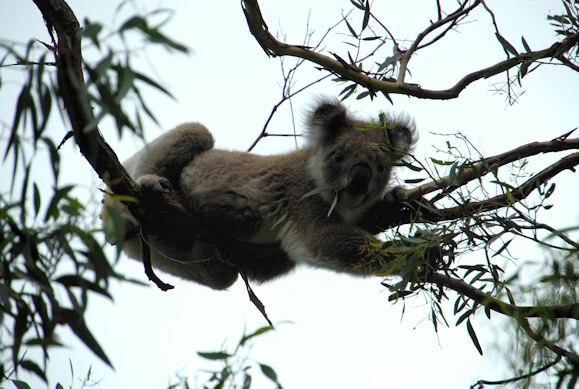 Most of the times, one will encounter Koalas in sanctuaries. Many of them will also provide Koala cuddles for an extra fee. I've done that, too, on my first voyage in Forest Glen. It is interesting to feel their fur is very different from the furs that need to keep their owner warm. It is not fleecy, it's rather something to keep the rain off - once it comes down at all. So I am glad I did that tourist thing, but I'm even happier I now found them in the wild, too. 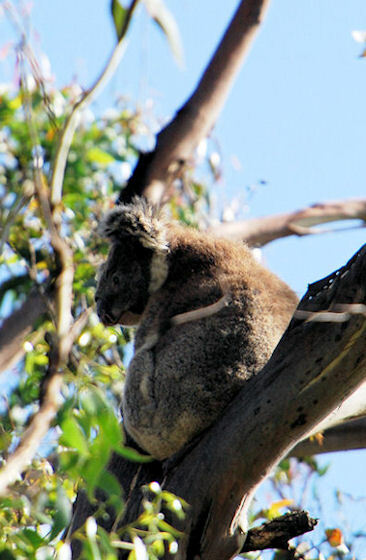 Koalas are not burning with vibrant life. They will sleep some 20 hours per day as their food contains not much nutrients, but a lot of poison. I am not sure one can rely on that, but the awake ones we have seen were observed in the morning when it still was somewhat cool.